Raffle fundraising is one of the “grandfathers” of fundraising that is still very popular today, with good reason – it works! 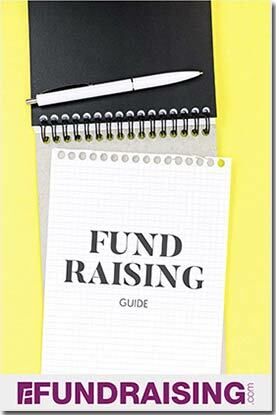 Fundraising raffles are manageable for any size group, they’re easy to coordinate, and they cost very little to conduct. The prizes are normally donated so your costs are limited to the printing of the tickets and any promotional materials. Your profits are only limited by the number of tickets you sell. The most important component of any fundraising raffle is the prize assortment, especially the grand prize. You should identify your “hook” prize first and build from there. Big ticket items like cars, all-inclusive trips, and plasma screen TV’s always result in good ticket sales, but it may be harder to get these items donated. You may be able to purchase these items at cost and still net a decent profit – you will have to weigh the pros and cons for your group. The most profitable route, of course, it to go with all donated prizes. If this seems a little daunting to you, take heart. You will be surprised at how many people are willing to donate goods if you just ask. Most retail chains give their local manager discretion to donate items like Grills or MP3 players to worthy causes and it’s usually easy to get gift certificates from restaurants or beauty spas. Lately even plastic surgeons are participating by giving away cosmetic treatments like Botox injections! The best place to start procuring prizes though is within your own organization – almost everyone will have some way of contributing to the prize pool, either directly or through their contacts. To maximize your results, visit the business you want to solicit in person. If possible, go on a weekday afternoon when the business should less busy. Take a letter on your group’s letterhead explaining your request and that also includes any information necessary to explain the tax status of the contribution. The company will appreciate your professionalism and hopefully reward you with some great prizes for your raffle. Important note: Most municipalities consider raffles a form of gambling if tickets are sold, so be sure to check with local authorities for legal requirements.